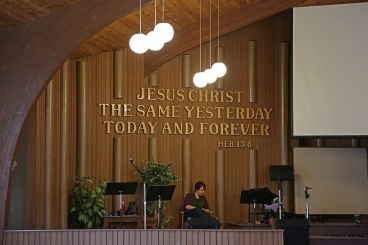 JdB Sound Acoustics has been working exclusively with the church community in creating acoustical and sound system solution since 1981. In that time hundreds of churches have had their acoustical issues solved so they can move on to more important issues like missions or other building improvements. As each church gets help, the end results have been a better worship experience where the church gets stronger and in some cases, consistent church growth and attendance. In some cases, our work has saved some churches from closing their doors and turned them into vital hubs in their communities - a place where people want to go often. Good sound attracts people and bad sound does make people feel un-welcomed. Whenever we are called in, we help in creating a place where ministers find preaching to be easier and where musicians want to perform. Better sound attracts people from every walk in life. This includes people who have slight hearing problems, the musically talented, and people who are accustom to higher quality sound at home and expect the same quality in a church. You don’t get to work at 1200 church because you are popular. You get that much work because of the results. Joseph De Buglio, an Acoustician and the owner of JdB Sound Acoustics having a background in music, communications, mechanical engineering and building churches - all of the key ingredients to prepare someone with a real sensitivity to church sound. He is also a member of a local church and is active within church communities in Southern Ontario Canada.